Composite decking in 2018 is very different to the initial composite products brought out in the 1990’s. The initial composite decking was fraught with problems not just in the product (the aesthetics have improved considerably), but also not living up to the promises that were made in terms of longevity and durability. Now however, composite decking is completely different and very popular and with good reason. We are Brisbane deck builders who have built many decks using composite decking products and the instance of this we predict, will continue to rise. There are many reasons clients would elect use composite decking products. 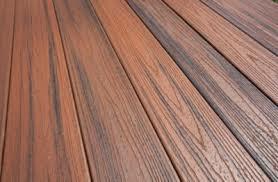 Firstly, composite decking is eco friendly and this is of growing concern to Australian home owners. According to the Trex website, Trex composite products save over 180 million kilograms of plastic and timber from landfill each year. Also, composite decking is now extremely durable and usually come with a lengthy warranty periods showing the confidence producers now have in their products. In terms of aesthetics, composite decking products are improving all the time and their low maintenance durability ensures they stay looking terrific for long periods. After around 20 years in the marketplace, the manufacturers of composite decking products have refined and honed them and can now offer a far larger range of top quality alternatives to hardwood timber. There are several areas which are particularly suitable for composite products. These include high traffic areas such as decking stairs, entrances onto decks and also around swimming pools. We have plenty of experience in building decks using composite materials; in fact we are listed as an installer on the Trex website who are international suppliers of quality composite decking products. Composite decking products now include the decking boards, railings and fascias. Very little maintenance required, The NexGEN website estimates that composite decks require 2 to 4 hours of maintenance a year, whilst a timber deck requires 16 to 32 hours a year. Composite materials are not structural and should only be used for decking and guardrail systems. One really great advantage of composite decking is that it can be curved, creating really unique deck designs. When deciding how much you are prepared to spend on a new deck you need to think twice regarding timber versus composite. Composite is more expensive upfront, it will cost you more to have a composite deck built. However, if you are adverse to maintenance the composite products will serve you better over time. Some composite decking is permitted for use in bushfire prone areas in Australia, have a look at the ModWood website in relation to this. Composite decking products are deal for seaside homes as they are unaffected by the salt air. 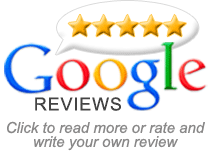 We are Brisbane Deck Builders who take pride in our workmanship. We design and build high quality, functional and aesthetically pleasing decks for families all over Brisbane and the surrounds.